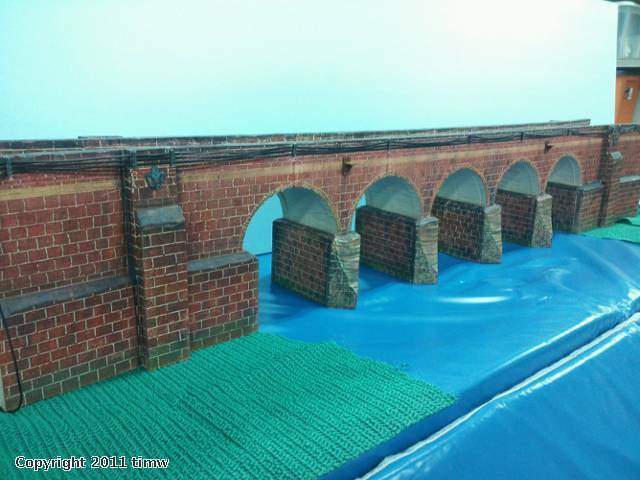 As you peruse my topics and photos, you will see that I have a passion for making bridges, mainly stone arch bridges for model train enthusiasts. 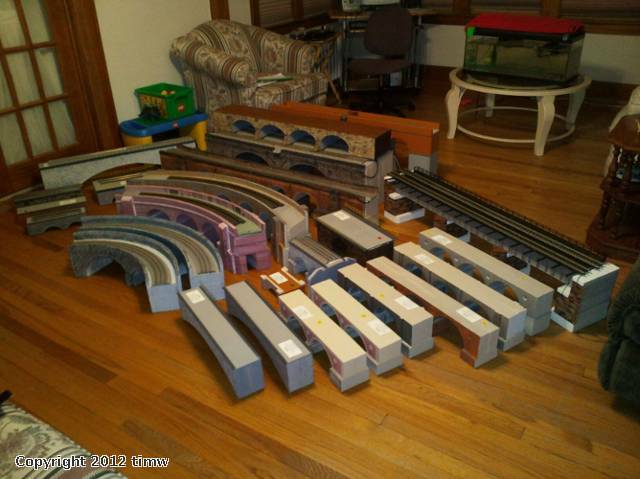 Although their are many different model train bridges out there for sale, one cannot find all that much to choose from of the stone arch types of bridges in our hobby through conventional manufacturers. I have been making these types of model railroad bridges for some years now, and am continuously seeking ways to make them more authentic looking. My bridges are very strong, yet very lightweight. They can handle any equipment you choose to run on them for their respective scale. They are one of a kind, hand made, not massed produced. I guarantee that you will be completely satisfied with your bridge purchase, or I will refund your money in it's entirety. As time allows, you will be seeing some of my new bridges displayed on this website, I am continually testing new processes for stonework. It is going well, and I am pleased. Stay tuned, you will begin to see new items soon. In the meantime, feel free to look around out there for any other commercially made stone arch bridges, I don't think you will find much to choose from.